The Show & Shine is the crown jewel of the whole weekend. 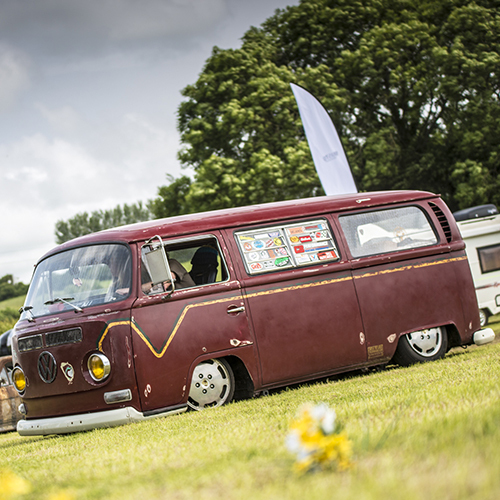 We'll be offering the victors of the Show & Shine categories some fantastic prizes including cash prizes for the winners of best in show Air-cooled and Water-cooled. The Registration Link is at the bottom of this page. Please read the following information carefully before clicking through to enter. ENTRY FEE - Show & Shine entry is £5 donation + £15 for the Sunday ticket. 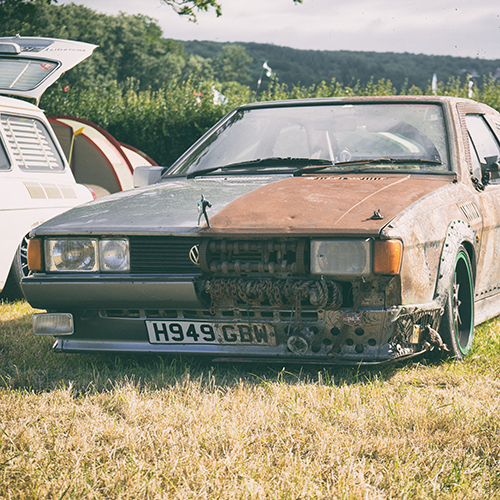 If you already have a weekend pass please email me on jonothon@bristolvolksfest.co.uk with your ticket number and I will send you a private link for the Donation. ENTRY TIMES - The gates open for entry between 7.30am and close at 9.30am on Sunday morning. Please remember that this is our busiest time for traffic, so come early and be patient. Cars must be in place before this time. The gates for the Show & Shine opens at 7.30am. No entry into the arena after 9.30am. RESULTS - will be announced about 3.30pm on Sunday. There are trophies for the winner of each category and all entrants will receive a Show & Shine souvenir. Daily Driver Competition: In addition to the normal Show & Shine, there will be a daily driver competition on Saturday. Please see below for more information. PRE-BOOK ONLY: Registration is now open. Entry to the Show & Shine is by pre-book only. To enter you must book in advance, we will not be accepting new entries on the day. Sometimes spaces become available but we cannot guarantee it. In addition to the standard Show & Shine, there will be a handful of independent judges, checking out all the Show & Shine entrants to award what they think are the best in show Air-cooled and Water-cooled, as well as the special 'Spirit of Dubbin' award, in memory Clive Allen, from the Old Dub Shop. By entering the Show & Shine you will automatically be in with a chance of winning one of these special awards. Entry to the Show & Shine is subject to availability in the class and will be picked or switched to another class at our discretion. Entry for the Show & Shine closes Sunday 28th April. Successful applications will be notified by the 5th May (if not before). To enter the Show & Shine please follow the button below and complete the form. Spaces are limited, with 10 entries per category. The more popular categories fill up fast. Daily Driver Competition: Saturday 15th June. Ideal for those that want to show off their pride and joy but can only visit the show on the Saturday. This is not a show & shine, it's an informal display for people that drive their VDubs daily, with a couple of trophies going out to our favourite rides. There's no need to pre-book, you just rock up on the day on Saturday and head for the car park. We'll be collecting money for our chosen charity, so a donation to enter would be much appreciated. 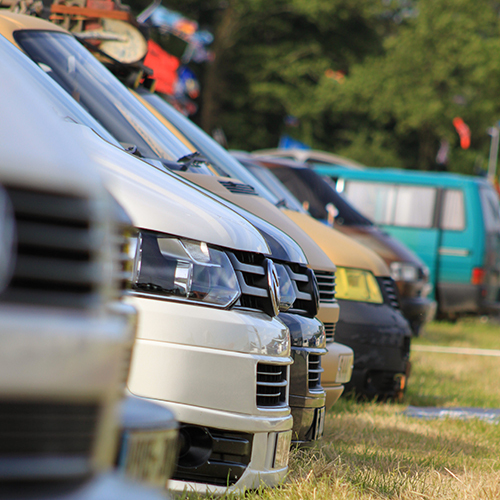 The display area will be opposite the cars for sale section, facing on to the show arena.